Get Down With Your UGHly sketch! More sketchy times and neolithic people. You know what your parents said about hanging out with cavemen, right? They said not to. Especially when they look like Brendan Fraiser. 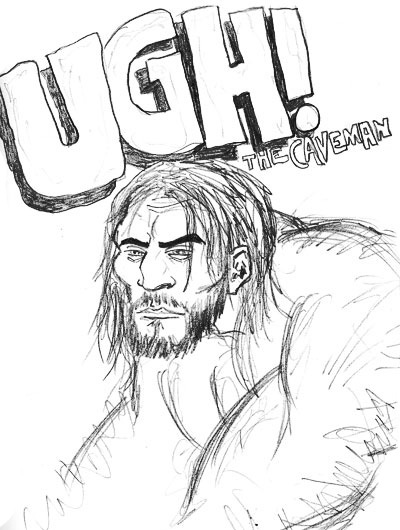 Here is an Ugh sketch. Enjoy.